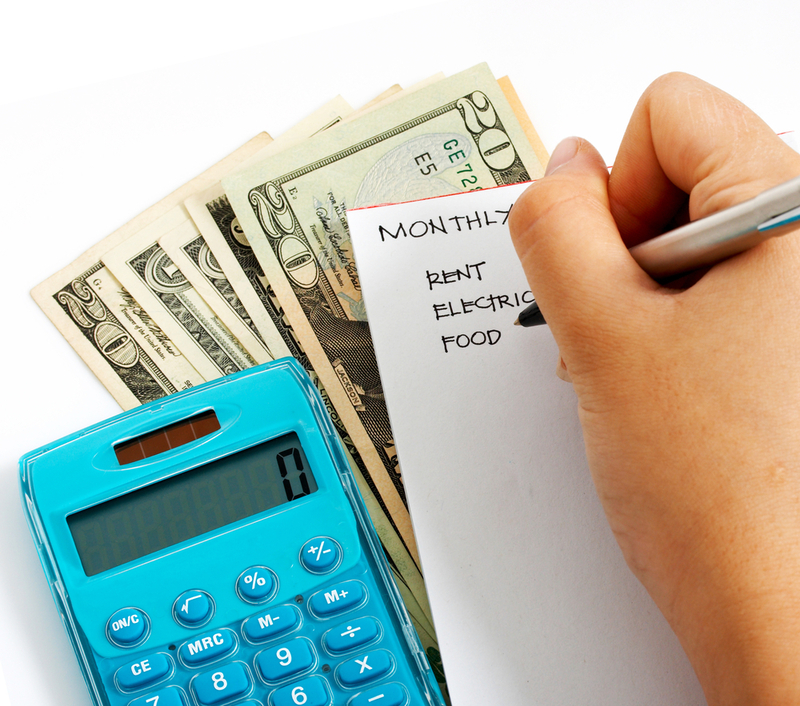 How Can You Reduce Your Monthly Expenses? Do you every wonder why it feels like it’s impossible to save money? With all the expenses in life, it can be hard reduce your monthly expenses. However, it is not impossible to save a little bit of money every month. That little bit of money you save on household expenses, electronics, or your gym membership will add up over time…Perhaps into a down payment on the home of your dreams! So, how do you reduce those monthly expenses? 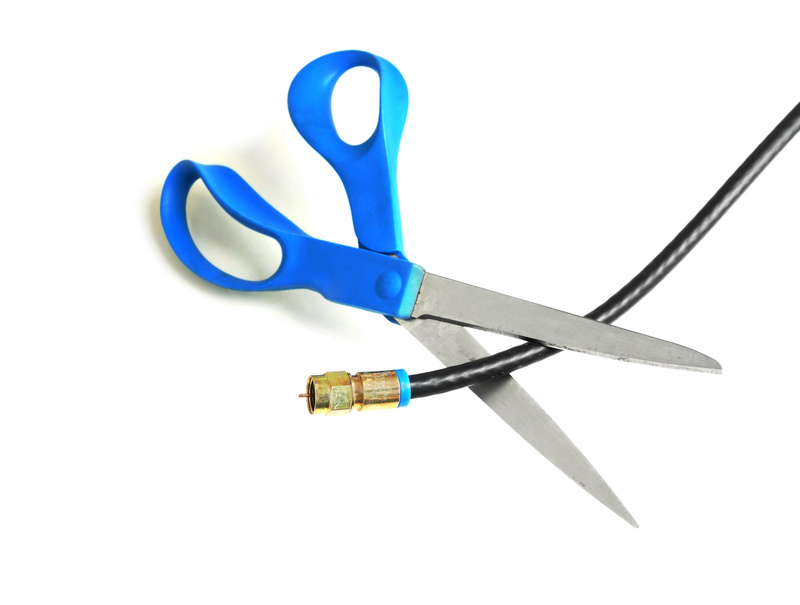 Think about switching that monthly cable bill over to a streaming bill. 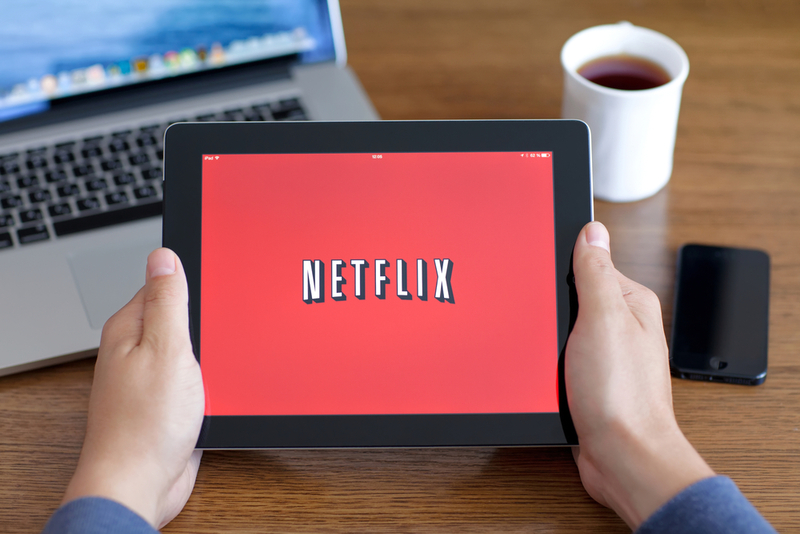 Hulu Plus and Netflix are great options for those who have Internet and are looking to cut their cable bill. Coming in at $7.99/month for each, you can pick one or the other and still get the enjoyment that TV has to offer for less out of your pocket. In addition, Netflix, which allows you have multiple accounts under one paid-for account, could be a great option for families. Do you use less data than you pay for? If so, then it might be time to switch to a lower data plan. If not, consider a third-party app, like Onavo Count or 3G WatchDog to determine if you are spending too much money on data. Switching to a lower data plan could save money. Or, you could ditch the plan altogether and go for a prepaid phone. With a prepaid phone, you will always know what the cost of your phone bill will be. There are never any surprises. The cost runs approximately $40/month for an unlimited talk and text prepaid plan. Insurance can be costly, and it’s something you will always need. To save money on insurance, look into bundling all of your policies with the same company. Some insurance companies will offer special deals if you have both your home and auto insurance with them. In order to ensure you are getting the best rates, price-shop every year. Consider other companies, and if they are offering promos or lower prices, ask your current company to match it. If they can’t, it might be time to make a switch. If you are currently paying for a gym membership and it’s important to you, make sure you take full advantage of it. Go as often as you can! However, if you have a gym membership and don’t use it as often as you said you would, consider investing in workout equipment for your home and cancel that pricey gym membership. Instead of a membership, get out and enjoy the great outdoors! 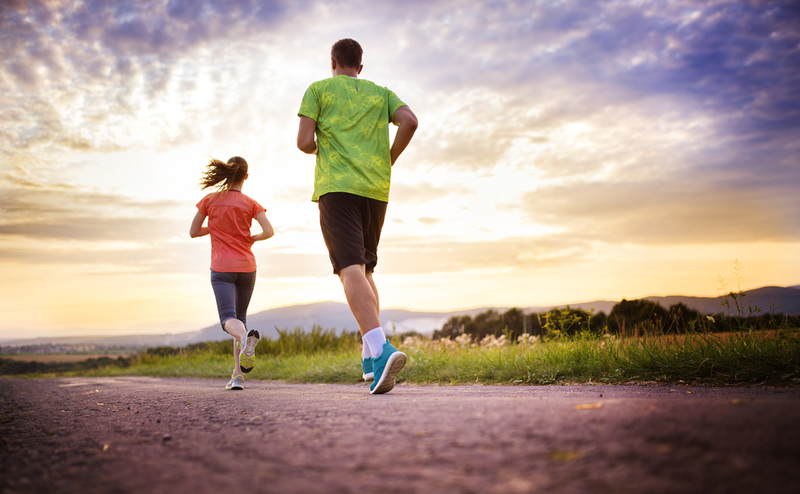 Run or walk around Lady Bird Lake, or look for a close hiking or nature trail. If you live in an apartment complex that has a gym, go local! The cost is already included in your rent — don’t pay double just to use a larger gym. If that’s not the reason, and you pay the membership to take classes, ask if you can just pay for the individual classes — it could end up saving you money! Cleaning isn’t usually a huge monthly expense unless you employ a maid service. But, there are a couple of ways to cut even the tiniest cleaning expense. Instead of buying your cleaning products at the store where you shop for groceries, look into purchasing them at Sam’s Club/Costco or even a dollar store. If that doesn’t cut much money off your cleaning product budget, consider making your own products. With vinegar and baking soda, you can clean just about everything in your home. If your commuting expenses are high, it might be time to either use public transportation, or commute to work with a co-worker or a friend who works nearby. Switching to one of these will save on gas and cuts the number of miles put on your car every year. Shop store brands, NOT name brands. You get the same product for a fraction of the cost. Don’t pay more for the same product if you don’t have to! Only make one run to the grocery store per week. Make a shopping list and stick to it! The list will help you spend less money and will help you resist impulse buys. 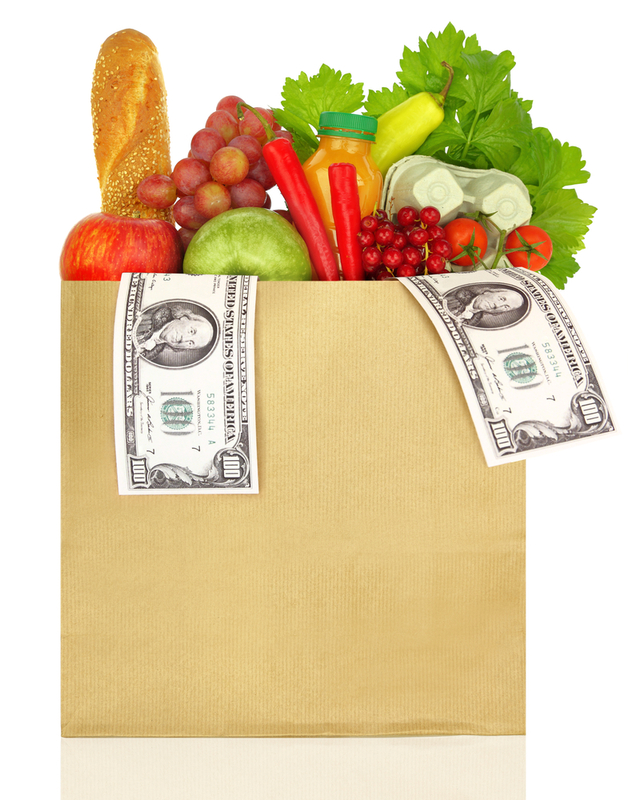 Another way to save money at the grocery store is to pay with cash. Paying with cash will make you more likely to stick to your budget. What’s on sale? Try to plan your meal plan around that product, or buy extra and freeze it for use at a later time. In addition, it is important to know what is in season. Strawberries are much cheaper during their season (spring and summer) than in the winter. So, try and remember what fruits and veggies grow during which seasons, and plan accordingly. Last tip for groceries - this is one we have found extremely useful! Once you go to the store make sure to keep the receipt and put it on the fridge. 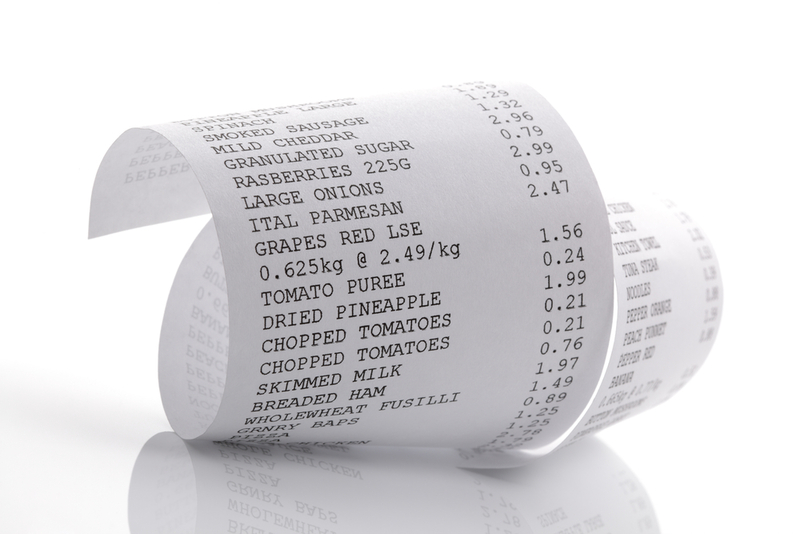 This is great for many reasons…one, it allows you a quick inventory of what is in the fridge (mark through what you eat), and two, it is a reminder of when you bought the products (the date bought is on the receipt). How many times have fruits or vegetables gone bad in your fridge? Well, hopefully that ends with the Receipt Reference Technique. This method could save up to $2,000 a year on groceries. Eating out puts a large dent into your monthly expenses. If you choose to eat out occasionally, refrain from ordering any alcoholic beverages. While food is expensive when going out, alcohol is an even larger expense. Cook at home more often. The food you make is usually healthier and always a fraction of the cost of eating out. Instead of going to the movie theater and paying money for the ticket, popcorn, and a drink, rent a DVD or pick one up from Redbox. Be on the lookout for free concerts, instead of paying upwards of $50/ticket. Free concerts are just as fun, and better yet, they’re free! Utilities are expensive, but they’re also a fact of life. Consider reducing your consumption. To reduce water: limit your shower length, turn off the faucet when brushing your teeth, or purchase a WaterSense label shower head (a “green” shower can save you around $70/year). To reduce your electric bill: switch to energy efficient light bulbs and reduce or increase the temperature in the house, depending on the season (this could save you 3 percent for every degree). Remember, you’re the only person looking out for your best interests. So, make sure you are proactive when it comes to getting the best rates. Also, always remember to pay yourself first! Put a portion of your paycheck directly into the bank. They say if you never see the money, you’ll never miss it! Do you have tips for saving money? us a note! Money saved quickly adds up. Who knows? Perhaps the money you save could be the down payment on your dream home!